a blog giveaway. Yippee! I’ll be back later to share my win. There were so many great links to last weeks part and I chose a few to feature this week. jello shots. Did you eat collard greens to bring more money to you in 2013? 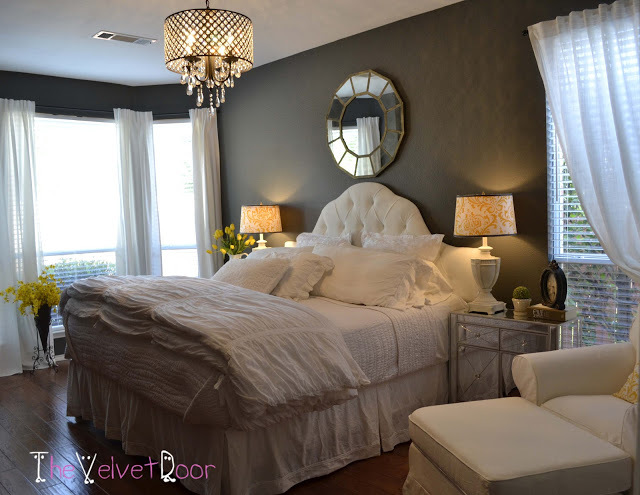 to see the wonderful transformation of her bedroom and master bath. 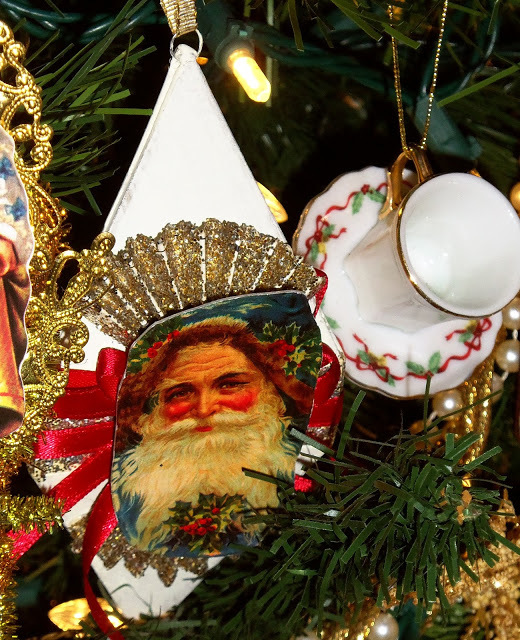 her nineteen beautiful trees and the many Christmas vignettes. Happy New Year Sherry! Hope it will be wonderful! Happy New Year Sherry!! Thanks for hosting! Thanks for hosting, Sherry! Happy New Year! Thanks for hosting! Hope you have a wonderful 2013! Hi Sherry, thank you so much for featuring my master bedroom! 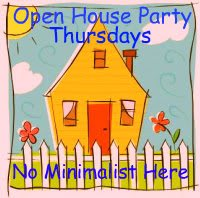 And thank you for hosting this wonderful party, I always look forward to it. Happy New Year! 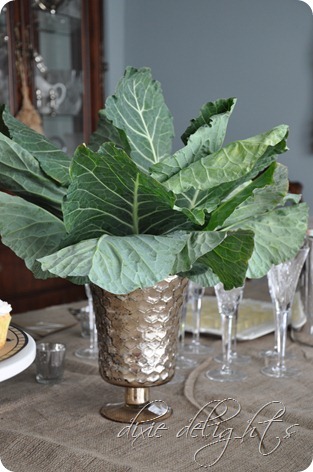 Collard Green centerpiece is a good idea. Lovely. I cut something out of a magazine that made me laugh and think of you. I will have to post it and tell you when I do. It was funny. Take care and Happy new Year. Hi Sherry, if we will be doing all year what we did yesterday, I may never get off the couch til 2014! I suppose I should have planned my day a little more carefully! How cool that you won such a great giveaway. Thanks so much for the party! Hey Sherry, what a great way to start the year! just love that chandy from the Velvet Door. thanks for hosting! Congrats on your win, Sherry! Thanks for hosting, and Happy New Year! Congrats on your win, Sherry! That's awesome! I hope you had a joyous Christmas and that 2013 is everything that you hope for. Thank you for hosting! Thank you so much for hosting each week! Wishing you a wonderful New Year!! I am a new follower. Thanks for the great linkup! Hi Sherry, Hope you have a very blessed new year. Glad to be here. My New Year's resolution is to join a link party each day, each week. Found this one via "Making my apt a Home", and wish everyone here a Happy, Prosperous New Year. You're also all welcome to visit us at http://www.ColdhamCuddliescalling.blogspot.com too! The more, the merrier! I'm running a little late for the party… but I'm so happy to be here! Thanks for hosting! Now I'm off to see all the wonderful things other bloggers are doing around their homes! Thanks again. Happy 2013, Sherry! By the way, forgot to mention that I'm on GFC as well, so there's simply no excuse not to visit us at http://www.ColdhamCuddliescalling.blogspot.com! Thanks so much for hosting, I haven't linked up in a whille. Happy New Year! Congratulations! You are lucky! Happy New Year too! Hello and thanks for hosting the party. Following along now! Hope you will stop by and visit my blog sometime! It has been forever since I have been able to join your party. Thank you for all the time you put into your linky party and your blog for us to enjoy. I especially like the Velvet Door bedroom! Thank you for hosting and I wish you a Happy New Year, Sherry! Sherry, congratulations on winning the bedding.What a great way to start the New Year! A top debt aid organization can expect how many most people looking towards all of them regarding help across payday loans loans to make sure you two times the following. financial debt charitable trust affirms about purchase a quick, higher benefit mortgages the year of 2010. All the aid organization says 36 months ago how many customers using them was basically insignificant. Thank you for hosting, Sherry. I love the features. That master bedroom is gorgeous.